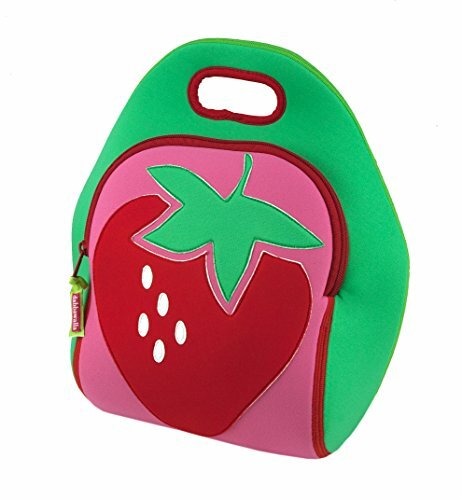 It is summer all year long with the sweet Strawberry lunch bag. A little girl’s delight of red and pink, this lunch bag is perfect for summer camp, vacations, or toting lunch to school. Built for fun, with practical details like mesh pockets and a grab and go handle, the Strawberry lunch bag is also fully washable. Crafted from 100% toxic-free, biodegradable material that is insulating, so it food stays safe.